Sideshow is proud to present the Batman Sixth Scale Figure. The Batman Sixth Scale Figure has a fabric costume featuring a grey undersuit with the bat-symbol, along with blue briefs and his bat wing cape. 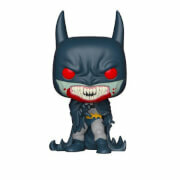 Batman has a pair of blue sculpted boots and a pair of bladed gauntlets, along with his yellow utility belt. Batman's portrait is inspired by his comic book appearance, with his stylized cowl with white eyes. The Batman Sixth Scale Figure has a muscled body design, articulated for a variety of action-packed poses. 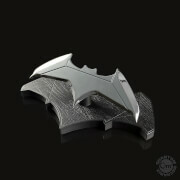 The figure comes with two styles of Batarang to hold, as well as three sets of sculpted hands, including right and left fists, Batarang grips, and dynamic gesture hands. Shine the signal and summon the Dark Knight. 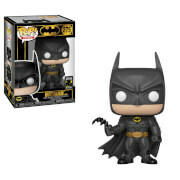 Add the Batman Sixth Scale Figure to your DC display today!